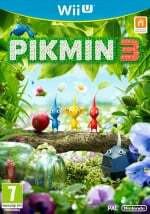 Last year we shared the news that Shigeru Miyamoto was overseeing a series of animated Pikmin short films, with the legendary game designer explaining that his origins in four-panel comics and passion for the franchise had brought the project to reality. They were initially planned to arrive in some form with the game, but that didn't happen. It seems that they've taken a fair amount of time to bloom, but it's now been confirmed that three of these animations will be premièred at the Tokyo International Film Festival in October. They'll be titled The Night Juicer, Treasures In A Bottle and Occupational Hazards, and the first appears to be the concept described by Shigeru Miyamoto in 2013. It begins with Captain Olimar blending an object — resembling a red Pikmin — into a juice and drinking it, though thankfully it turns out to be a carrot; below is what Miyamoto-san said when first revealing the project. When Olimar first discovered the Pikmin he named them based on the PikPik brand carrots in his home world, so he clearly loves carrots. I thought it would be fun to have a scenario where it seems like he is going to eat the Pikmin. So it's kind of dark, but he doesn't eat them. Shigeru Miyamoto will give a presentation alongside the CEO of Dwango, the Japanese media company that owns NicoNico, of which Nintendo owns shares. We'd expect these films to be made available in the not-too-distant future, presumably on the Wii U and 3DS eShop platforms alongside any other streaming services. Are you looking forward to watching them? I saw this earlier and wanted to and you a link. How do we do that? I loved Pikmin and look forward to watching the short videos. 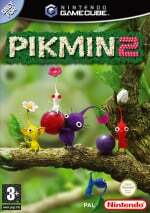 I hope there is more DLC coming for Pikmin soon to mark the occasion. @King47 If you scroll down to below the last comment, there is a Contact Link above the Stay Connected panel. The rest is pretty self explanatory. I will look forward to this. 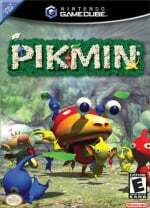 Now please bring Pikmin 1&2 to the eShop Mr. Miyamoto or release both as Nintendo Selects. Pikmin 2 is really hard to find. Just post the link in the NL forums or another website, and eventually a journalist from NL will see it in a Google search and post it here as a news story. The world needs more Pikmin. Felt like this would feel like really dark Nightmare Fuel when I read the first part. O_O I hope these are made common somehow- I'd love to watch them! Probably because he's not allowed to make a Pikmin 4. I love Pikmin so i hope these turn out good. @DerpSandwich Same here, I was really looking forward to them as both games have a lot of potential for charming little animations (kind of like the shorts 'Uprising had near release). Instead they were really disapointing; I guess it's fair enough that you'd re-use the game assets but just editing together gameplay footage is about as low quality and far from my expectations as you could get. It's for that reason I'm slightly cautious about this announcement, but ultimately I still think there's a lot of potential for short stories in the Pikmin universe and I'm looking forward to it. Oh, good. I thought that Pikmin Safari nonsense was replacing these. Can't wait to see 'em! If ever there was an argument that video games are art, I think Pikmin would be the shining example. Miamoto is the Michelangelo of the video game world. I wish these videos had been included on disc with Pikmin 3. These have much potential as theatrical releases in America. They could beat Guardians of the Galaxy to the top spot. That's awesome! I was unaware he'd made anything of the sort.